Today’s Flash Back Friday comes from Episode 112, originally published in October 2012. Many scenarios exist of a potential societal collapse in our world, such as nuclear war, biological warfare, plagues and disease, global financial collapse, political strife or a natural catastrophe. Regardless of how it could come about, survival is the name of the game. Jason Hartman interviews R.P. 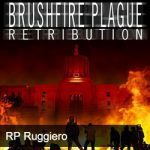 Ruggiero, author of Brushfire Plague, to talk about the book, about preparation, survival and the importance of community. Brushfire Plague is an action novel about a virulent plague that quickly spreads around the world. The main character faces a daily battle for survival, which leads to uncovering a horrible secret about the Brushfire Plague and having to make incredibly difficult choices. In the interview, R.P. talks about group dynamics, how issues are discussed and worked out under duress. We have to be able to deal with and communicate with other people, including others’ egos and fears. He further explains that in crisis situations, people tend to be slow to realize the rules have changed, and discusses preparation and security. His goal is stressing the basic responsibility of being prepared so as not to be a burden on others and being able to protect yourself and your family should a crisis occur. R.P. Ruggiero lives in the Pacific Northwest with his wife and two sons. He spends as much time as he can in the outdoors and strives to live by Robert Heinlein’s credo that, “Specialization is for insects.” When he is not outdoors, writing, or learning a new skill, he works coordinating people to achieve their common goals. He brings his almost two decades of experience in group dynamics—particularly when people are under stress—to good use in writing The Brushfire Plague; a novel grounded in neighborhood defense during a devastating plague.